In February 2009, eight staff members of the Billy Dalwin Pre-School of Temple Emunah traveled to Israel as participants in the Boston-Haifa Early Childhood Educators Exchange. Each participating teacher grew professionally and personally from the ECE Exchange, bonding with each other, forming meaningful relationships with Haifa colleagues, assimilating new information about ways to teach and reach children, and re-evaluating our existing curriculum and methodology. Beyond this, staff members deepened their understanding of and connection to Eretz Yisrael, thus enabling them to bring Israel to life in a much more meaningful way for each of our students and families. Our school’s involvement with the Boston-Haifa ECE Exchange began 10 years ago with a Directors’ Mission that included intensive study at the Pardes Institute in Jerusalem followed by a few days in Haifa. 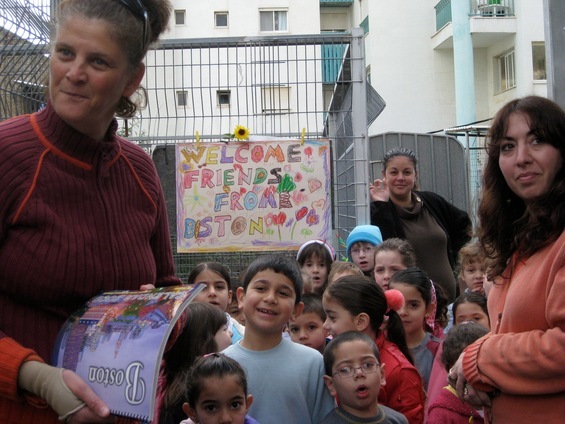 As our Haifa colleagues greeted us, an immediate bond was forged that has served as the foundation for a larger, dynamic partnership between early childhood educators in Boston and Haifa. 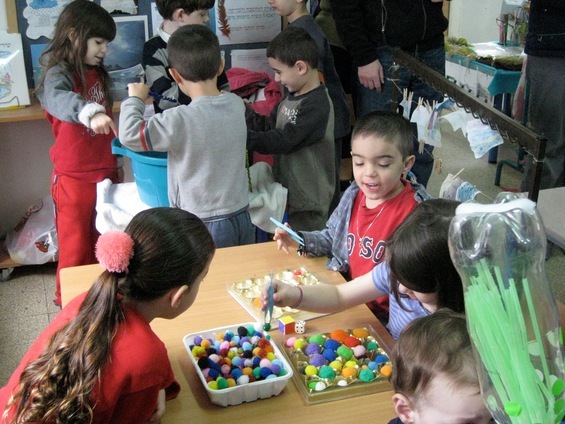 Members of the Billy Dalwin Pre-School staff have participated in every exchange since the beginning, and through that, our school’s connection to Israel has deepened. Additionally, having so many of our teachers participate and learn together during the 2009 Boston-Haifa Early Childhood Educators Exchange has had a transformative effect on our program. The most significant moment of the 2009 ECE Exchange occurred when the pre-school staff joined Rabbi Lerner and the Temple Emunah congregants who were on a Temple-sponsored trip to Israel. We met in Haifa, and together we visited our partner program, Gan Hamaniya. Anat Lion and her students gave us a warm welcome, and in a very brief time, positive connections were formed among children, teachers and other adults from the congregation. Three current pre-school families and three alumni pre-school families participated in the congregational trip, making this experience even more meaningful. We hope that this will serve as a springboard for a future pre-school family and staff mission to Haifa and other parts of Israel. We continue to draw from our experiences, planning new activities for our children during our annual “imaginary” Israel trips, developing ways in which we can bring Israel into our classrooms on a daily basis, and strengthening our connections to Eretz Yisrael. We are so grateful to the Billy Dalwin Pre-School community as well as Combined Jewish Philanthropies, the Boston-Haifa Steering Committee, the Bureau of Jewish Education and Hebrew College for helping to make the Boston-Haifa Early Childhood Educators Exchange a cornerstone of our program. Shelley Rossman is the Director of the Billy Dalwin Pre-School at Temple Emunah.